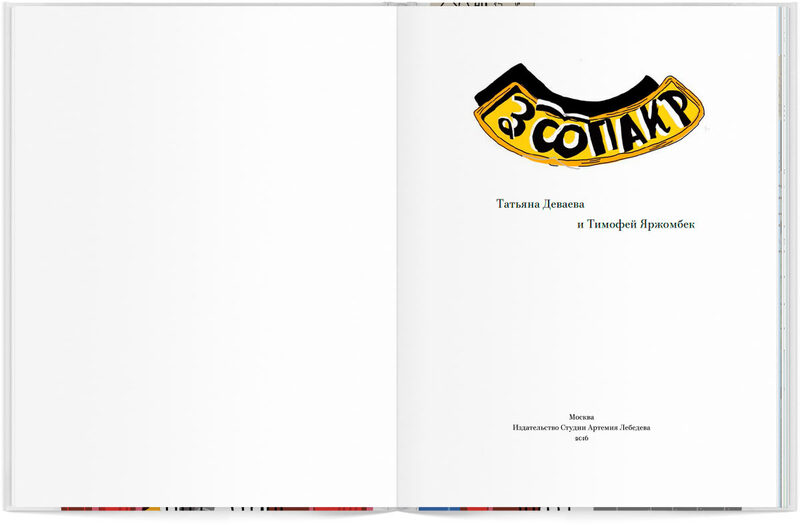 Task: to raise money and publish an exciting book for children. 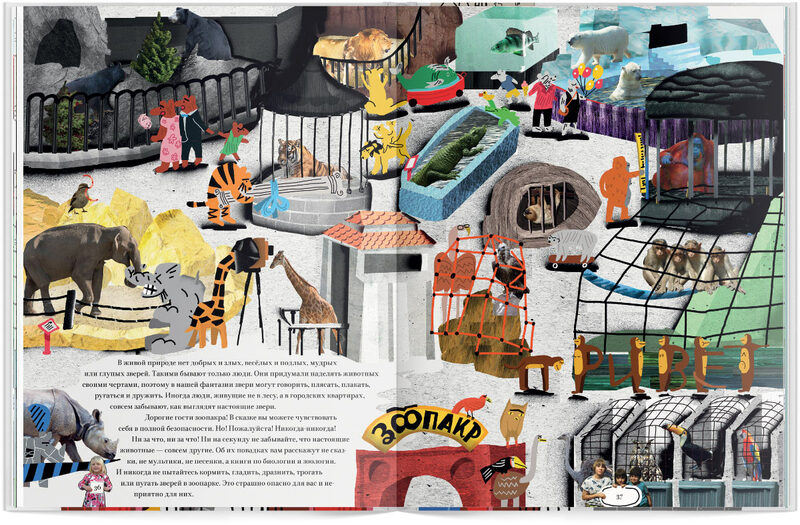 Zoopakr is a large, beautiful, densely populated and well-illustrated book that is designed for reading, exploring and play. The book is published with the participation of readers who preorder the book and get a simple or a special edition depending on the amount of money contributed. The book is populated by animals that often fall into strange circumstances. And the local tiger, rhinoceros, crocodile, giraffe and others behave not quite like animals in a regular zoo. Zoopakr is not a real zoo and laws of nature have no power here. Which means that the most unexpected things start to happen when the lights go out or when it gets flooded or when its inhabitants suddenly travel back in time. But any fantasy has its limits. This is especially important to understand for city children who are more likely to see a cow on screen than on a pasture and know bear habits only from fairy tales. 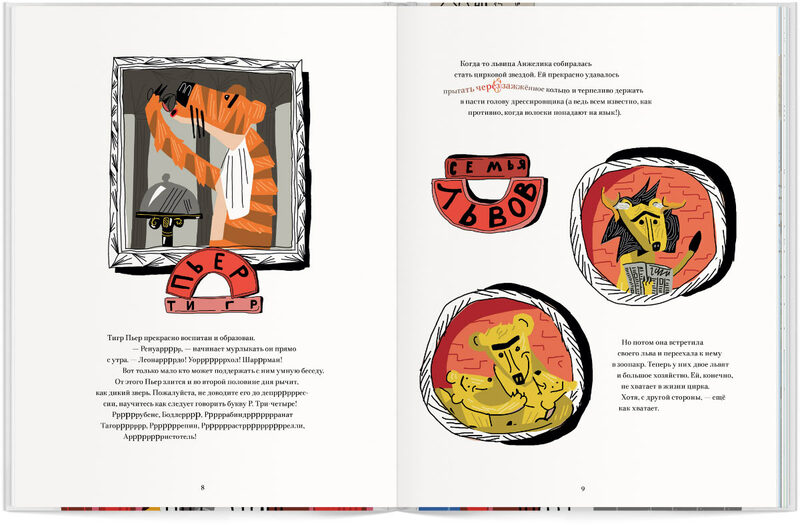 The final opening of the book puts everything in its right place and gives parents the opportunity to discuss an important issue with a child—the difference between real animals and our myths about them—and to explain that there are no good or evil beasts in real life and that you shouldn’t try to reach into a cage to pet a tiger. Several openings of the book invite readers to take part in creating the story by painting, answering questions and imagining. 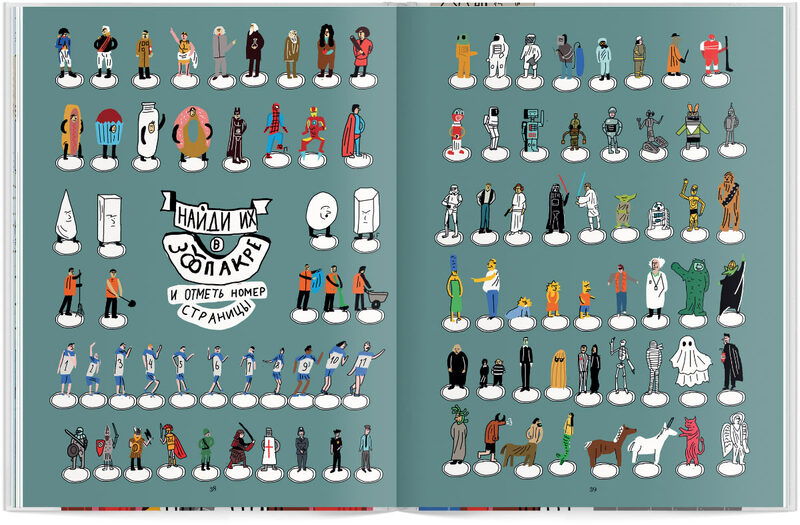 Those who enjoy careful exploration will like the game of finding various characters on previous pages. 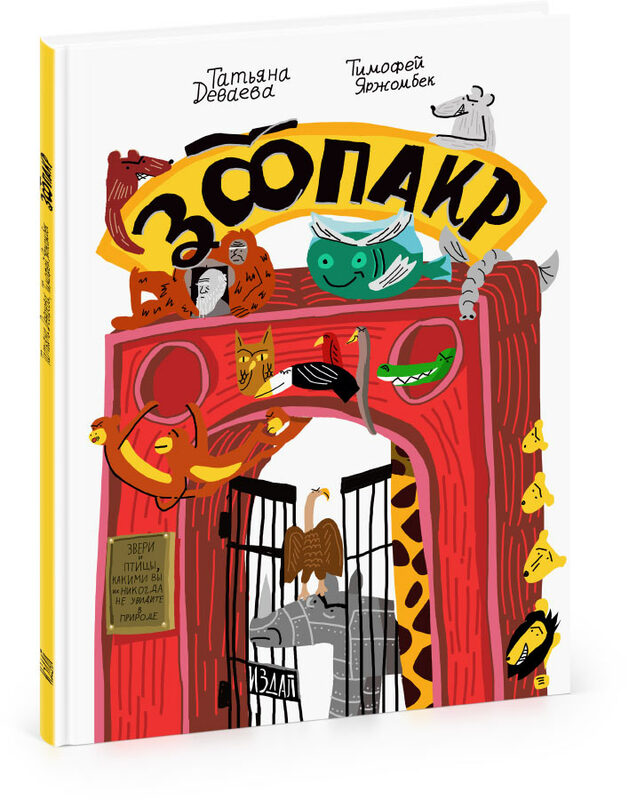 Zoopakr is a wonderful gift both for children and adults who enjoy quality illustrations.